Every industry has it’s own set of standards they follow at a given time. Best Practices are also common from one sector to another. One such example is eTOM or TM Forum in the telecommunications industry. By using a set of approved standards effective communication of how business can be organized, operated and managed is made easier. Take a quick look at the eTOM model and see how your business could us a process model to improve it. eTOM stands for Enhanced Telecom Operations Map. 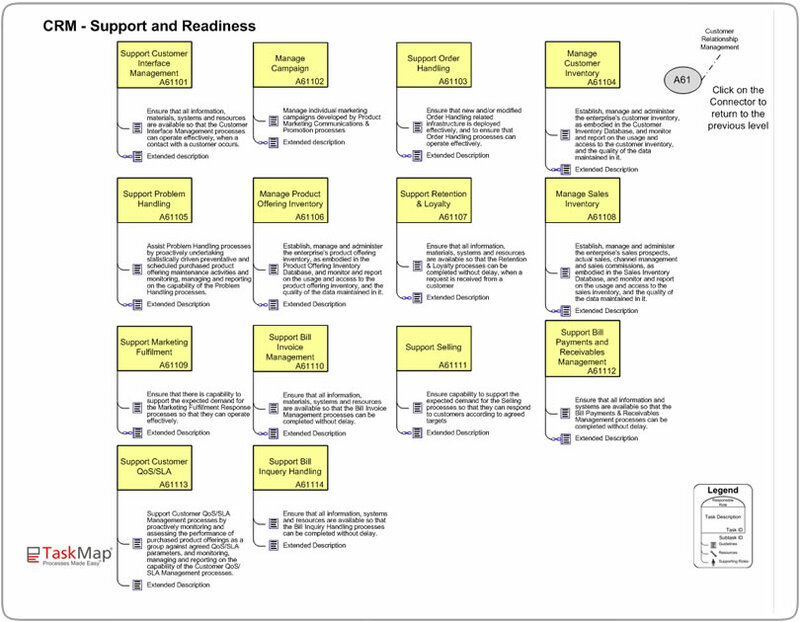 The Enhanced Telecom Operations Map is an ongoing initiative developed by the TM Forum to deliver a business process framework for the telecommunications industry. The eTOM business process framework was developed to map out the processes involved at a enterprise level. TM Forum’s eTOM (Enhanced Telecom Operations Map) serves as a blueprint for how a telecommunications company can integrate these processes in order to successfully compete through the implementation of a business process driven methodology. The Enhanced Telecom Operations Map (eTOM) starts at the high level process view and then uses a hierarchical structure to breakdown each process according to where they exist within the enterprise. The eTOM business process framework is a tool used for process creation, process analysis, and process improvement.